Monday, July 11 • 9:00 a.m. - 10:00 a.m. Bringing the song to life is more than singing the written notes and lyrics. The emotion, expression, storytelling and style are critical parts of the vocal performance. This is created and expressed vocally by varying the dynamics, varying the use of vowels and consonants, emphasizing alliterations, coloring the tone, and by using “vocal stylisms” such as bending the pitch, slides, cry, growl, or “creaky” sound. The story line is expressed vocally through the choice of style (jazz, pop, country, rap, rock and R&B, etc.) and variations in vocal quality ranging from legit to belt. Singers should be able to switch between registers and make different interior shapes to allow changes in the resonance to serve the song style as well as the character. Join Edrie as she interacts with participants to examine specific ways to bring the song to life and return to your studio with specific techniques to bring the song to life. Edrie Means Weekly, "rock star of vocal crossover,” is a nationally recognized expert in training singers in all vocal styles and an active professional singer. She was a Master Teacher for the NATS Intern Program in 2013. She is Co-Founder of the Contemporary Commercial Music (CCM) Vocal Pedagogy Institute at Shenandoah University, which has attracted people from around the world. Her students can be heard on Grammy Recordings, on Broadway, Off –Broadway, National and International Tours, Regional Theatre, TV (including The Voice, American Idol, Kidz Star USA), Cruise Ships, Theme Parks, Films, NYC and Regional Cabaret Venues, Concert Halls and Opera Houses worldwide. 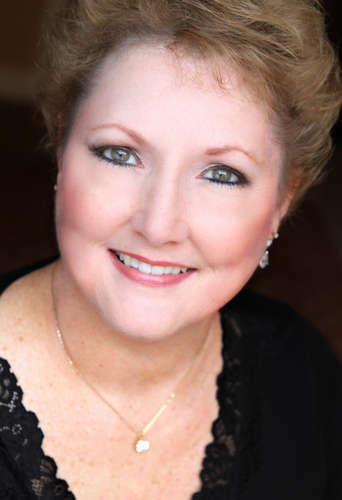 As a leading researcher in functional voice training and healthy vocal production, she has authored several research publications in The Journal of Voice regarding the teaching of the Broadway voice. She has a sub-chapter in the vocal pedagogy book Teaching Singing in the 21st Century entitled "Making The Song Authentic: It's a Matter of Style." Edrie’s many solo performances have been broadcast internationally on radio and TV, recorded by Decca and Koch. Edrie has performed lead roles with well-known artists such as Bernadette Peters, Linda Lavin, Elaine Paige, Cloris Leachman, Jonathan Pryce, Placido Domingo, Renée Fleming, Rosiland Elias, Mirella Freni, Suzanne Mentzer, Renato Capecchiand long-time friends Marquita Lister and Denyce Graves. She has been a standby for notable Broadway stars like Patti LuPone, Elaine Paige and Linda Lavin.